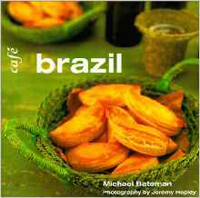 ISBN: 9781400002160 ISBN10: 1400002168. Written by: L Pereda. Softcover, 208 pp.. Beautiful 4 color pictures illustrate 220 recipes collected and refined by the famous chef Lucy Pereda, host of En Casa de Lucy on Galavisión. Within these pages you will find recipes for appetizers, sauces, salads, vegetables, fish, meat, and poultry, and of course desserts. You will be enthralled by the bewildering array of colors, spices, and compositions that will tantalize your eyes, and wet your appetite! ISBN: 9780002554596 ISBN10: 0002554593. Hardcover, 191 pp. More than 100 celebrities ranging from G. Armani to R. Verge, share their culinary creations in this benefit cookbook for the Aids Foundations. Each dish is distinctive yet achievable and creatively captured through innovative photography and page layout. Leaf through and enjoy recipes for salads, soups, entrees, and desserts, some simple, some complex, but all delicious! ISBN: 9780762403592 ISBN10: 0762403594. Written by: C Ferguson. Hardcover, 80 pp.. Within these pages you will discover 40 popular Mexican recipes with color illustrations for authentic appetizers, entrees, deserts and more. A visual directory of ingredients and step by step instructions will make the preparation of these dishes easy and enjoyable! Buen gusto! ISBN: 9780307741639 ISBN10: 030774163X. Written by: Eva Longoria. Hardcover, 224 pp.. With more than 100 dishes and colorful pictures these recipes are easy, delicious, and tempting and form the perfect bridge between rustic Texas food with an inimitable Latin touch. From the foods she grew up with to recipes inspired by her excursions around the world, the author shares essential cooking tips, entertaining stories and the traditions that inspired her favorite foods. ISBN: 9780307382634 ISBN10: 030738263X. Written by: J Andres. Softcover, 256 pp. This cookbook brings the diversity of Spanish cooking from Basque Leek and Potato Soup, Shredded Salt Cod with Tomatoes & Olives, Lobster/Mushroom Paella, Nectarines with Anchovies and Pedro Ximenez Dressing, and Asturian ean Stew to your kitchen through100 illustrated recipes. All ingredients are available in America.